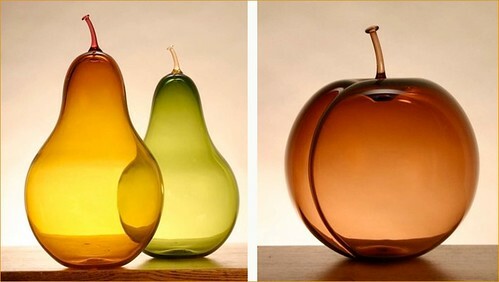 These blown glass fruits are just stunning. Check them out at Revo Studio on etsy. 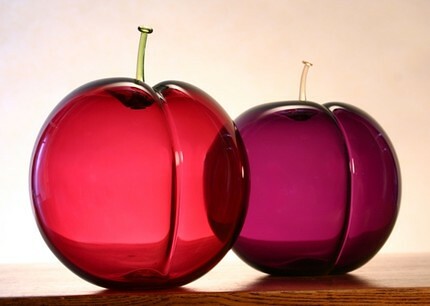 I got one for my for my mantle (the red plum above). They’re so stunning I can’t take my eyes off them. I found them on the Elle Decor South Africa blog posted by the multi talented Heather Moore of Skinny LaMinx. Check out her latest work on etsy while you’re at it. For the rest of the week I’m going to try to stay on a Halloween theme. So tune back in for that. Have a lovely Monday. XO. Isn’t it!!! He’s so talented. Congrats on your leave!